Catbus» Blog Archive » What’s a Gadgetbahn? Filed under Montréal, technology, trains. Here, I think you’ve done a good job covering the gadgetbahn phenomenon something certainly not limited to Montreal or Quebec (see, for example, the gondola ride proposed for NYC). I expect to be posting a link to this in many discussions going forward! One note: Despite gadgetbahn may look german, it is not. Though ‘Gadget’ and ‘Bahn’ are known. Isn’t the new mayor of “ville de REM” against the mentioned mount royal solution? I mentioned Japenese development in the area; and the maximum speed (~600km/h) comes from that project as well. Tue Shanghai Maglev was mentioned to make a particular point. If you think this article is supposed to be a survey of speculative transportation technology, I think you may have missed the point. Vancouver’s SkyTrain is a good example of “gadgetbahnenn”. With much hype and hoopla, the driverless ALRT/ART was said to revolutionize public transport. Well that was in 1984 and in 2017 Vancouver’s SkyTrain has not lived up to its promises of revolutionizing transit. Only 7 such system have been built in almost 40 years and its marketing name has been changed at least four times. ICTS > ALRT > ALM > ART. Even though SkyTrain is driverless, it costs about 40% more to operate when compared to light rail systems. Very expensive to build, up to 10 times more than LRT (1982 IBI Study for the TTC’s ART Study) to build. Vancouver’s SkyTrain system also has limited capacity and its Transport Canada Operating certificate limits capacity to 15,000 pphpd, unless about $3 billion is spent up grading the line and re building stations. To date, the taxpayer has spent over $10 billion on SkyTrain or about $7 billion more than if light rail were built instead. The big problem is that politicians , engineers, bureaucrats and academics have been bamboozled by the proprietary light metro and continue planning for more. The have deified the damn thing. The real winners of “gadgetbahnenn” are the owners of the patents, as all gadgetbahnen are indeed proprietary railways. And who own the patents for Vancouver’s SkyTrain? Bombardier and SNC Lavalin. Build with gadgetbahnen, better have a lot of cash, because they cost a lot, lot, more than advertised. Aren’t they a good way of getting more speed and comfort without straightening curves, at a reasonable cost? The UA TurboTrain had passive tilt. The Talgos all have passive tilt. The LRC had active tilt as does the Acela. All are bandaids for bad track. Put the money into the track. I didn’t want to go into tilting. 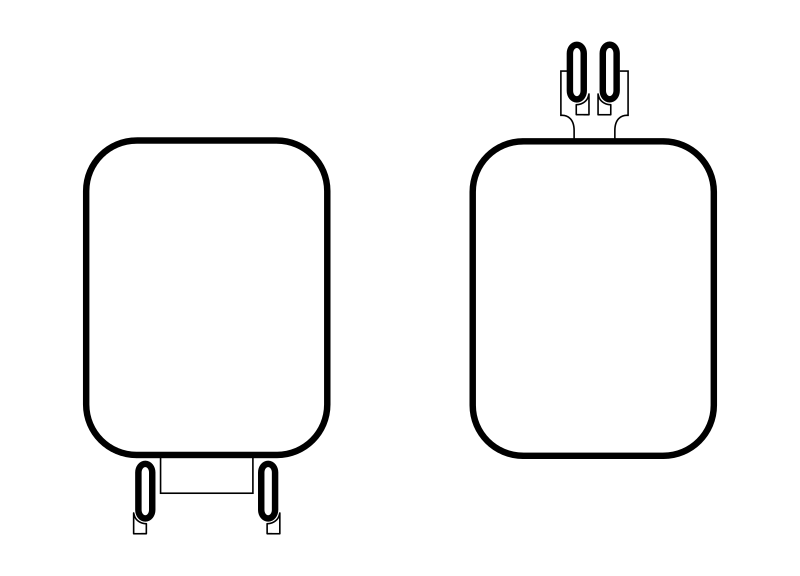 Yes tilting allow you smaller curve radius at similar comfort / speed levels. It’s a way to ‘trick’ the issues of physics/geometry/cost that I mentioned. But these tricks are possible with conventional rail as well. Firstly, it’s possible to use a lot of super-elevation on your tracks (i.e. tilt them). Since VIA’s TGF wouldn’t host freight trains, I believe the tracks could be very super-elevated. Secondly, tilting trains are possible as well (As Peter points out). We have to wonder whether having a frame within the train that the passively tilting carriage is hanging from is cheaper than having the whole track up on a frame. Further, passive tilting is a bit limited, because it’s reaction is delayed. Active tilting is preferable – again this is possible with either wheel configuration, but I think it narrows the difference in complexity of the two modes. Furthermore, there’s a limit to tilting at high speed, because of the rotational jerk. (Edit: there’s also a maximum tilt that you can subject to people before they’ll get sea sick). So that brings us back to a similar issue as before: the tilting trick is possible with both wheel arrangements, so the question is whether the economics and the risk of developing a unique solution make sense. Many years ago when I was just out of university, I had job where I actually provided information for the public about other Gadgetbahn systems, when a certain railway vehicle provider (which will remain nameless) was doing possible LRT and Subway/Metro projects. One of my many duties was to show people how many of these so called future public transport systems were really just poorly tested concepts. The reality of many of these pieces of technology were not that they didn’t work but could not ever do many of the things that there proponents say they could do. For example, “Low cost construction” of the infrastructure usually meant that the people who designed the concept had a simple pre-built mass produced vehicle tech or precast concrete construction system in mind for the vehicle, vehicle rights of way (tracks) and stations. The reality was usually that the right of way construction technology was designed for a test vehicle that was 1/4 – 1/6 the actual size and weight of the production model. This meant whisper thin support poles shown in flashy pictures actually needed to be replaced with massive concrete pylons and decking, which are not cheap and or easy to build. Often they are very expensive to maintain over time. Or the building technology wouldn’t work or couldn’t legally be used for safety reasons in the particular operating and legal climate being proposed. My favorite was the constant claim of high speed (especially for Personal Rapid Transit Systems) when in the picture or diagram provided the station stops were in eye shot of each other. Forcing very high acceleration/deceleration if high speed was actually even possible. It goes back to the comfort level for the customer the article mentions. Maintenance and spare parts as well as other on going operational costs are often overlooked when gadgetbahn systems try to show how cheap they are. As with many proprietary transport systems the cost of things like, staff operations and maintenance training, spare parts packages as well as support equipment cost and supply are never included in the glossy promotion packages that possible operators get. This is assuming the company pitching the gadgetbahn technology even has these costs on file yet! Never mind climate can make or break new pieces of technology. For example, many of the new wireless power systems for LRT and other rail vehicles don’t work well or at all in snowy or overly wet ground conditions, not to mention if its really cold. These are not even pieces of Gadgetbahn technology but technology provided by well known international rail vehicle providers. Bombardier’s wireless ground based Pri-Move system for example, doesn’t work at all in snow or function well in damp surface conditions and temperatures under 8 degrees C. The one place where has been sold and functions well is in Saudi Arabia, where it is normally bone dry and very hot. Grouping maglev, hyperloop and several other systems into one group and calling it gadgetbahn is a dishonest misrepresentation of these totally different systems. The equivalent would be to call conventional rail industry a dinosaur technology. That would also be condescending and meaningless. It would also be at the same level as calling rail and HSR gadgetbahn before they were invented or implemented many years ago. I guess he forgot to write maglev-fanboys or gadgetbahn-fanboys. It is a good sign of desperation and lack of arguments to write this. The rest of the article does not give much meaning because it mixes totally different systems. This may be true for systems that does not exist yet, but not for Transrapid 09 (picture in lower right corner). Call HSR “HSR”. It exists. Call maglev “maglev”. It exists. Call Hyperloop “Hyperloop”. It does not exist. This is just a nonsense sentence because these are not real arguments. It is irrelevant if the technology is shiny or worth bragging about. How do you know if a system can solve the actual transportation problem? That is the relevant question to ask. They are totally different systems! Try to do some testing on the following statement. Use the argument for HSR. Now you see it. One should be positive about new ideas and technology and evaluate them objectively! Not on the basis of them being shiny or not! HSR can be shiny too, can it not? Another round of misrepresentations in the article. This time there are 3 errors in the same sentence. They do not require similar geometries! Maglev only need half the curve-radius (if not even less) compared to HSR. Maglevs can also climb at a degree several times higher than HSR. They do not require a similar kind of infrastructure. Elevated HSR needs elements that are 5(!) times heavier than the ones for maglev. Think of all the concrete and CO2 we can save by building maglev. The speed is also dishonestly misrepresented. Shanghai maglev has a technical top speed of 500 km/h. The reason why it maxes out at 430 km/h is the length of the track (30 km). HSR reduces its speed to 250 km/h in Europe because of the exponentially rising tear and wear which leads to astronomical maintenance costs. French TGV has to replace it’s wheels several times a year. Not to mention the track and the overhead lines. The experimental top speed of HSR is of little or no interest. The fast TGV train was a heavily modified train and can not be called a normal HSR. The experimental top speeds of maglevs have been from normal maglevs. Not experimental. Another mistake from the article. The propulsion system is important. The main reason to elevate the train from the track is to reduce the wear and tear of the wheels and track. This is, economically speaking, much more important than the use of energy. Furthermore it should be mentioned that the German Transrapid 09 maglev uses 30% less energy than HSR. Maglev has been developed over several decades. 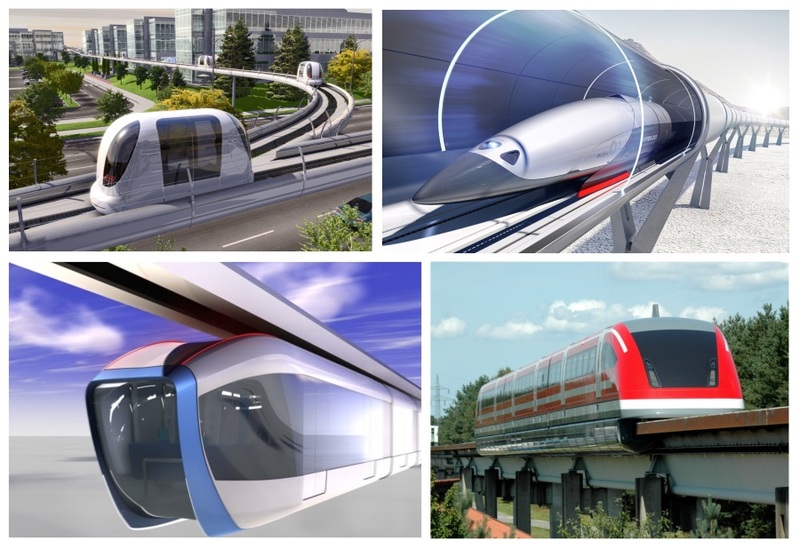 German maglev has been developed over several decades and is an optimally developed and well tested system. It is ready to be implemented anywhere in the world where high speed ground transportation is wanted and needed. The maglev line in Shanghai was built primarily to get to know the system. How do you think an elevated HSR line in Shanghai would have performed? There is a lot of corruption in China, including in rail. Google it. Check it out. The Chinese are also building a maglev which will probably be based on the German one. HSR can not necessarily run on existing rail lines through cities and stations. There may be capacity problems and differences in track types and width. The Japanese run their Shinkansen system on a totally separated system. “The technical problem should really be solved through private investment, not public funding.” How much governmental support has the railway industry got? Building a new infrastructure is a huge project with potential economical advantages for the society as a whole and huge challenges regarding the legal area that the private industry not necessarily will get involved in. An elevated maglev system may, to a large extent, use existing rights of way (motorways and rail), but it will be a huge challenge anyway. How will a new HSR infrastructure built on the ground perform in this area? Yes. Transrapid 08 has been working very well in Shanghai for over 12 years and has driven more than a million km with millions of passengers without major issues. Compare that to HSR which has an extensive maintenance program. The capacity is at least half a million passenger-km per hour for German maglev. German maglev is already developed. German taxpayers, along with Thyssen-Krupp and Siemens have taken the costs for you and your country. It costs 20-25 million dollars per km. German maglev is safe. There are several safety systems built into the system. One can also mention elevation as an important safety measure. The train is certified to run 500 km/h in Europe. People can move freely around as in a conventional train. German elevated maglev may be built 3-4 times faster than HSR on the ground. The maglev will also not disturb other infrastructure, waterways, people and animals. The maintenance and operational costs will be much lower than for HSR. No wear and tear on the track. No driver needed. Less trains needed because of superior acceleration and top speed. Maglev can be build incrementally so one can familiarize with the system. HSR has already shown that over 200 km/h the wear and tear skyrockets exponentially with increased speed. The article is full of misrepresentations which “accidentally” favours HSR. The Transrapid TR09 is a smooth ride. Is there an agenda behind the article? Who is the author? What are his roles? Is the author representing any interests? Dear Bjarne, I see you are very defensive about the whole issue, with all sorts of accusations of improper writing and even accusations of conspiracy. I think your anger is playing with your reading comprehension. I didn’t mix up the different transportation concepts. You are. If you actually read my article carefully, you’ll see I’m using conventional maglev merely as an example of a kind of technology that was hailed as the solution a long time ago but that didn’t really pan out, to warn of supposed technology solutions being proposed today (“MGV”). I’m not really interested in going into your technicals (except for a big ‘citation needed’). Suffice to say with all your numbers and claims in vigorous defense of maglev, you’re not getting the point that after what, 30-40 years of development, we have 30km in production, maybe we’ll be getting another two lines in another 10-20 years; whereas conventional technology exists in tens of thousands of km. In fact the Chinese build tens of thousands km basically from scratch, after testing maglev. Germany tried several times to build the Transrapid and it was always deemed uneconomical. Being able to incrementally build systems (something you claim is not a problem for maglev), is one of the main problems, as are the economics. 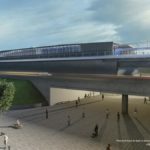 But really, if you’d spent five minutes of attention on actually reading the article, rather than huffing and puffing about it, you’d see that my main concern is how in Quebec (“my country”) there are many who view the proposed suspended monorail concept as a realistic solution to link Quebec and Montreal. You seem to have completely missed that the article is mainly to warn about the dreamy solutions Gadtgetbahn enthusiasts dream up with the “MGV”. Oh an btw, I invite you to actually go take the Transrapid. I’ve taken it, and it is indeed quite a rumble-ride. It’s interesting that two of the pictured “Gadgetbahns” you head your article with, Ultra and Maglev, are actually in commercial operation. Perhaps, in view of your statement, “The beauty of proposing a gadgetbahn is that since it doesn’t exist…”, you may feell the need to either change the images or rephrase your statement? When you propose a Gadgetbahn, it doesn’t generally exist yet. That’s why you can make claims you don’t need to back up with facts. You’re missing my point and, probably, Bjarne’s. Apart from your claim they aren’t, you are spreading other false information in your opinions. Is it too much to ask for accuracy? Or does Gadgetbahn mean you can make claims where you don’t need to back up with facts, even though it does exist? No, you’re missing the point. It doesn’t matter whether the Gadgetbahn enthusiasts got some small sample project running somewhere. The issue isn’t whether these technologies are impossible (and I made no such claim). The question is whether the supposed near magical properties pan out (especially compared to existing/conventional technology), how long it took to develop the new technology, and whether the technology makes economical sense in the real world. 5 There are well respected sources of information to confirm this but you’re not interested in going into the technicals, are you? However, I do take your point that your main concern is the proposal to build a suspended monorail in Quebec and Montreal. Here, you have more knowledge than most reading your post. It’s a shame you diluted this concern with an attack on new, developing and developed forms of transport which you lump together under the Gadgetbahn title, compounded with false information. Yes, there are some proposals for transport which seem too good to be true, most of which don’t have a prototype up and running, perhaps this is what you mean by Gadgetbahn? The UIC (basically the IATA of the rail industry) lists 40,378 km of HSR networks as operational (as of November 2017) and another 14,615 km as under construction . How many km of lines exist for SCM, Transrapid or “Ultra”? The UIC lists more than 300 HSR lines, of which more than half are already under operation . What are the real world examples for SCM, Transrapid or “Ultra” – and even more: how many of them are already in intercity revenue service? None of the claimed properties is quasi-magical – it’s the multitude of these properties which are claimed simultaneously (and the refusal to acknowledge the existence of any of the trade-offs which have been characterising every single transportation project ever constructed by humanity): lower construction costs, lower operating costs, lower noise, shorter construction period, less visual intrusion, higher operating speeds, lower energy consumption, higher capacity, lower construction-related emissions, higher public acceptance, lower ticket prices. Doesn’t a transportation technology which has been tested and proven almost nowhere in the world (see 1 and 2), but comes with absolutely no trade-offs sound outlandish or quasi-magical to you? Agreed, but do they outweigh the economic, political and environmental disadvantages, such as being incompatible with the legacy rail system and therefore either forcing passengers to do additional transfers or to build punitively expensive downtown tunnels and countless underutilised branch lines? You mean like the obscure Motor1.com article presented by Bjarne (seriously, this is the quality of sources for which only Hyperloop fanboys are known)? I’ve already acknowledged in countless discussions with you and the other Maglev fans (Bjarne, for instance) on the “High Speed Rail America Club” Facebook page that if you were building and planning an entire country for a population of 100 million in a dessert or on a different planet, Maglevs would be the mode of choice. 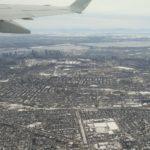 When will you finally acknowledge that real-world transport planning is different to SimCity, as you have to respect the constraints imposed by decades and centuries of often inconsistent civil engineering construction for transportation infrastructure and other structures built under constantly changing priorities and land use policies? And speaking of the suspended monorail in Wuppertal: you know what I answered my boss when he asked me “what do you Germans think about suspended monorails?”? High Speed transport is a wonderful thing! However, if you have ever been on a high speed train you notice a few things. First the trains actually travel at normal speeds inside the built up areas of large cities. Why? They do this is because of safety regulations and people have to live there close to these lines, so the noise level must be kept down. Have you ever stood anywhere near a high speed railway vehicle right of way? I have stood underneath or near both High Speed Passenger Rail (HSR) lines and or a Maglev line with a train or vehicle traveling at or near there optimal cruse speeds, it’s very, very loud and uncomfortable due to the highly compressed air pressure wave caused by the passing vehicle! So much so, I can easily imagine most people really wouldn’t want to live near it if they didn’t had the choice to. The Chinese High Speed Maglev line that runs to Shanghai’s International Airport travels through mainly but not entirely suburban and rural areas. The Germans had required a 300 metre wide (150 metres each side of the line) safety/security barrier around their high speed Maglev test line which was in a suburban area. This was needed because of the air blasts, noise and safety issues. In China where the safety barrier is a mere 20-25 metres, local residents get the full effect of a passing maglev vehicle much closer to their homes. In more rural areas, debris the vehicles pick up and rain down on the crop fields of local collective farms are especially hated by the farmers and mangers a like, they really don’t like that aspect of the Maglev lines. The 200 km long planned extension to the Shanghai Maglev system was to have significant underground sections to limit noise, electromagnetic radiation pollution and exposure. Thus, greatly increasing the cost of the extension. When a nearby HSR line was built at much lower cost I might add, the Maglev extension was immediately sidelined. My point is that even in China, where the environmental problems and the comfort level of local residents isn’t always the prime consideration of Maglev officials. Even they have had to admit that, high speed transport has to have safety and noise considerations that greatly complicate and add costs to their projects. Imagine the long and drawn out Environmental Assessment Process required in a western country like ours for a very high speed Maglev system. I have seen and read through the older Environmental Assessment proposals for VIA’s High Speed Rail lines here in Canada. These proposals have multiple volumes of hundreds of pages each. These are just the proposals not the full Environmental Assessments which would be longer and far more involved.